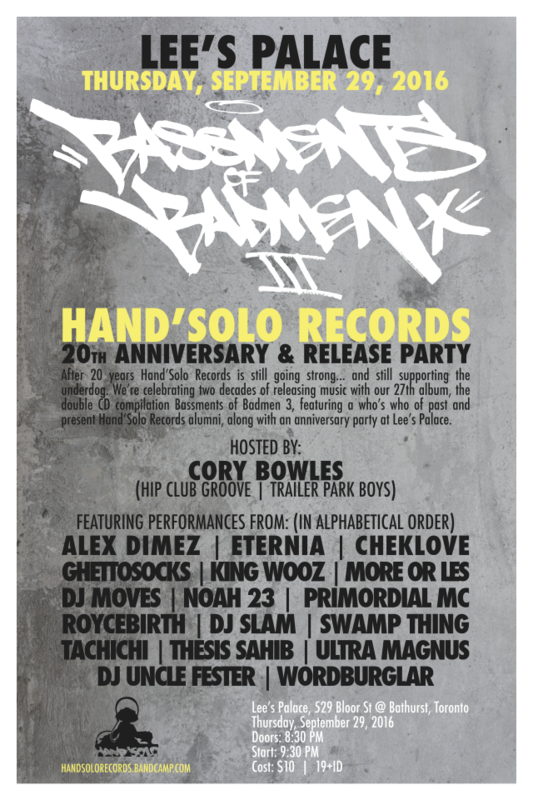 Hand'Solo Records » Blog Archive » 20th anniversary and Bassments of Badmen 3 release party! Home Bass > 20th anniversary and Bassments of Badmen 3 release party! Yes, it’s finally happening at the end of this month! Hand’Solo Records celebrates 20 years releasing dope hip hop with a new compilation and a big night at Lee’s Palace, featuring special guest Eternia and headliners Ultra Magnus & DJ SLAM!